You are here: Home / Christian Talk / Principle is Necessary Even with Faith. Principle is Necessary Even with Faith. 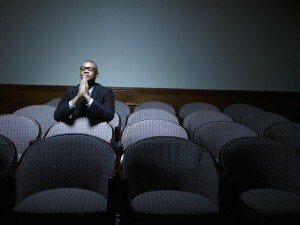 (ThyBlackMan.com) It seems many are questioning their faith in God, because they feel as though he no longer hears their prayers. They see the devastation around them, and they feel as though prayer no longer works for them. They know how to quote the scriptures in the Bible that tell them what God will do, and that he will answer prayer. So, they continue to pray, confess God’s Word, and even tithe…but nothing changes. This reality has driven many out of the church and their belief. It goes from praying to hopeless talk and despair. When hope is lost anger manifests, and this is usually directed towards God. He is cursed and mocked…called fake, and they cry out that if they want change they will have to make it happen themselves because God is no longer with them. However, they find themselves stopped in their tracks when death arrives for those they love because they have no power to stop it…and why bother praying. This is a very grim depiction but may are battling with it in their hearts and mind. The thing that is often overlooked is the part we play in our deliverance. It is so much easier to blame God than to acknowledge the fear in our own hearts. If one chooses to believe in a spiritual belief system it is important to look at everything that is necessary, not just what we are to receive. Principles are the laws of the universe and no one is exempt from them. Biblical principle shows that faith and fear can not occupy the same space. When dealing with a matter we can’t afford to be “double-minded” because if we are we can’t receive from God. Fear is one of our greatest enemies it shuts down faith, hope, love, and positive speaking. If we pray, and then with the same mouth speak negativity one can ask which do we truly want. In that moment are we not double minded? Living a life of principle allows us to be ordered in our thoughts and sure footed in our decisions. Principle is the foundation that supports our faith when things don’t look like they will move in our favor. It reminds us of what we prayed for and helps govern how we life. If one believes in God but won’t operate in the principles of God faith is very difficult to walk in as doubt and fear fill our mind. It’s important to take the time to understand principle and put it to work in your life. It is also important to understand your life is the only one you can control. There will be times you will pray for the best for others but only God knows what’s in their heart. Only he knows the truth of the fear they may be faced with. You can’t judge your life by what’s happening in the lives of others. All believe systems are built on principle which is the foundation of said thing. Take the time to know what the principles are for what you believe in, because then you can apply faith and prayer to your life in the manner it was meant to function. Understanding and application of principle can help save you from hopelessness and despair because what you believe and how you practice in it is rooted in the foundation necessary for your faith to work. I would suggest you have ‘Biblical principle’ wrong on the question of ‘fear. Any understanding of Biblical principle should begin with a conception of Law. To be on the right side of Law is to escape fear. To be lawless on the wrong side is live with the ‘fear’ of exposure, humiliation and judgement. Thus when an individual has not yet learned moral basics, fear becomes the necessary incentive to remind that individual of the necessity to relearn the the nature of moral conduct and thus live in righteousness and in the absence of fear.